Marrakech, one of the most buzzing cities in Morocco, as well as in all of Northern Africa, is definitely the trending place you should visit soon. A perfect blend of modern luxury and the Berber traditional lifestyle, Marrakech is a city where red sandstone and posh elegance go side-by-side. From the bustling and colourful souks, to the beautifully restored riads, with their brilliant and relaxing sun terraces, from the majestic Medina to the lavish cafés and restaurants of Guéliz, ‘The Red City’ caters to every whim and need of its visitors. If you love adventure, culture and history, then Marrakech is your ultimate travelling destination. And our Riad 107 is right in the heart of all the best that Marrakech has to offer you! 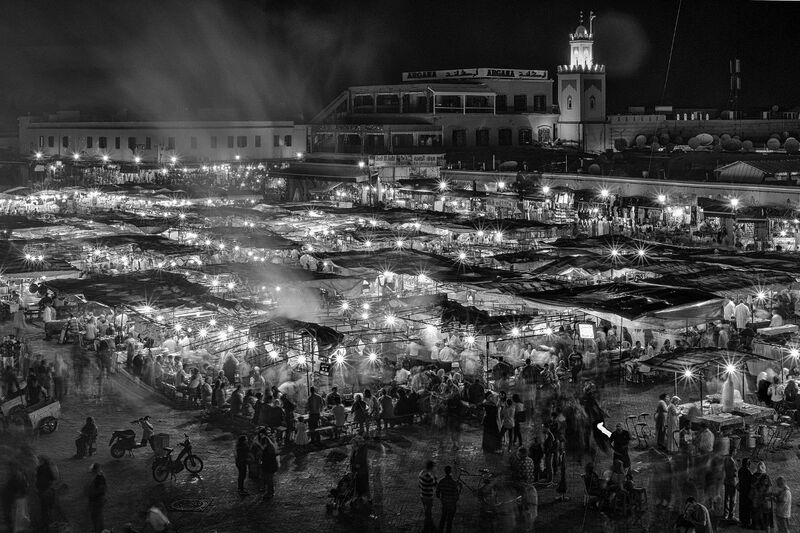 Did you know that Jemaa El-Fna is labelled by UNESCO as a Masterpiece of the Oral and Intangible Heritage of Humanity? Just five minutes away from Riad 107, Jemaa El-Fna is the hub of the Old Town of Marrakech. Enjoy a visit to the Medina during the daytime, as well as the intricate maze of Moroccan shops – souks -, where you will find anything from delicate brass work to beaded slippers. Come sundown, the square is the place to be! Fire-breathing showmen, snake charmers, storytellers, acrobats, musicians and street food sellers create a true magical atmosphere, where the scent of mint, argan and other rich spices permeates the night air. Did you know that it took Jacques Majorelle nearly forty years to create the Jardin Majorelle? Built in 1931 by French painter Jacques Majorelle, the Majorelle Garden was preserved by fashion icon, Yves Saint Laurent, and his partner, Pierre Bergé, this absolutely lush garden offers a vast array of exotic plants, streams and pools covered with lotus flowers and water lilies and a gorgeous colourful art museum dedicated to Majorelle, the mind behind this much beauty. Under the theme 2016: Not New Now, this cultural event brings together accomplished artists from all over the world in a multidisciplinary approach: visual arts; cinema and video; literature; performing arts. From February 24th to May 8th, the 2016 edition of the Biennale will, for the first time in its history, present a diverse program of artist talks, performances and symposiums, all free of charge and in public spaces across ‘The Ochre City’. Visit Marrakech Biennale. Once the biggest school of the Quran in Morocco, this remarkable example of Moorish architecture stands out for its carved cedar wood from the Atlas Mountains, bright coloured tiles, intricate stuccowork and a huge courtyard with a pool for ritual bathing. Did you know that El Badi was 25 years in the making? Built in the 16th century, El Badi Palace was once home to wealthy sultans and the resting place for visiting princes and diplomats. In its prime, this lavished palace of gold and marble featured 360 rooms, a 100-metre courtyard and exquisite gardens. Nowadays, only the building structure remains, but it is still worth a visit to see the scale of the palace and imagine its past opulence. Photo credits Flickr Martin Mutch, Flickr USAFE AFAFRICA. Morocco is a land of stupendous contrasts. From the exotic and magical enchantment of Marrakesh to the magnificent Sahara Desert, all through the untamed beauty of the Atlas Mountains, Morocco has many great wonders to offer its travellers. There are all the reasons in the world why you should take the time to come to Morocco and explore the country for yourself. We want to leave you with six big ones to get you on the road! And we are not only talking about the unbelievable deals you can find in souks or local businesses. Morocco is only a short and, most important of all, cheap flight away from Europe. Accommodation and food are very reasonable too. You can plan the one-of-a-kind vacation you have always dreamed of without depleting your banking account. Too good to be true? Just check out our rates at Riad 107! 2 – Morocco’s unparalleled sceneries. There is a reason why production companies keep choosing Morocco as the backdrop for their movies and TV shows. The lush golden sand dunes of the Sahara Desert. The snow-capped tops of the Atlas Mountains. The awe-inspiring Todgha Gorge, with its impressive orange rock formation that seems to go on forever. The soothing white and blue allure of the shores in Essaouira. These are landscapes that can only be found here! Morocco’s particular natural topography will capture your heart. It is the perfect playground for both the easy-going adventurer and the most intrepid explorer. 3 – The unique Moroccan architecture. The delicate stucco work. The adorned arches. The colourful floral and geometric tiles. The intricate wood and metalwork. The water fountains. The Mosques. The ancient mud-brick Kasbahs, like the renowned Aït Benhaddou, that are true repositories of world history and a treat to visit! 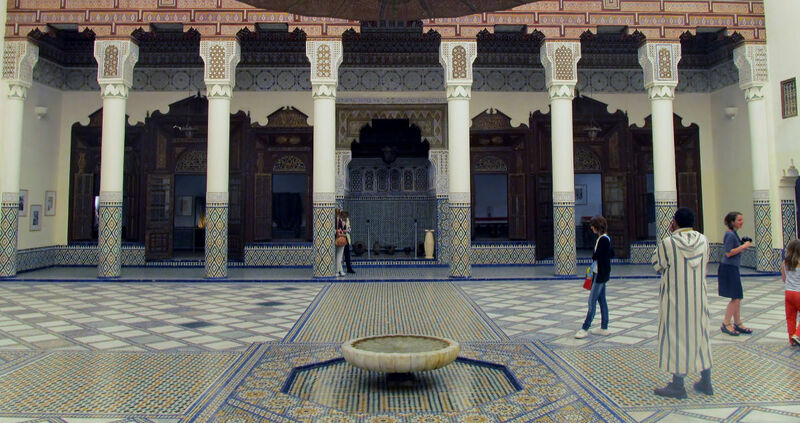 The architectural style of Morocco is a stunning mix of a multitude of cultural and historical influences from all over the world and well worth knowing. Choose a typical dwelling as your lodging for the ideal Moroccan experience. You can, for instance, stay at a Riad, like our very own Riad 107. The Riads are small cosy guesthouses, very reminiscent of the Roman villas, and situated among the narrow streets of the medina. Food is a very big part of the Moroccan culture. And, boy-oh-boy, it is delicious! Berber tagine, couscous, warm homemade bread, rich salads, all cooked from local fresh products and according to tradition. Almonds, oranges, dates, saffron, ginger, paprika and cumin colouring the air with enticing scents and excitement. Life does not get tastier than in Morocco! And let’s not forget the mint tea and various pastries that you will be offered everywhere you go. Because nothing says Morocco quite like mint tea! There are very few people in the world that would invite perfect strangers into their home. There are even fewer people would be willing and happy to share whatever little they have to eat and drink with those same strangers. And yet, that is the way of the Berber people. Even in the most remote villages, where language could be the ultimate obstacle and foreigners are rare, the inviting Berbers will make you feel right at home with their huge smiles and good-natured openness! 6 – Marrakech! Marrakech! Marrakech! Voted World’s Top Destination and a recurrent choice as a vacation spot for celebrities from all over, there is a reason why the Red City is nicknamed the “Jewel of the Desert”! Marrakech retains the adventurous and nostalgic feeling of times gone by, while providing the comforts and perks of modern days. The best of both worlds in a gorgeous African city, right between the majestic Atlas Mountains and the sun-kissed sands of the Sahara Desert. And there you have it! Six inescapable motives why Morocco is the country you should visit now. You will fall in love with this African gem and you will keep coming back for more, we are certain of it! Just don’t forget to pay us a visit when you are in Marrakech. We promise to help you find many more reasons to keep Morocco close to your heart always. We welcome you to Marrakech. Enjoy our beautiful rooms. Love calls – everywhere and always. David and Victoria Beckham. Gordon and Tana Ramsay. John Legend and his wife, Chrissy Teigen. Exotic and lush Marrakech has become a favourite between famous and talented athletes, movie and TV stars, musicians and artists! Not only is the Red City a hub for thrilling adventure and unexpected wonder, with its colourful souks and Indiana Jones’ ambiance, mixed together with high-end hotels, restaurants and fashion shops. Its bewitching scents and sounds, magical gardens, ancient walls and enchanting riads, that look like they were built by Scheherazade’s bespelling voice, turn Marrakesh into the ideal spot to live the love story of a lifetime! Even the city’s title – the Red City! – entices! Sensuous wine-coloured textiles. Sun-warmed fragrances that fill the air and the senses with unusual spices. Delightful body massages in hammam tradition. Every romantic road leads you and your loved one to Marrakech. There are plenty of activities you can enjoy with your better-half in and around Marrakech. These are just a few tips for a romantic day in the Ochre City, but feel free to ask our helpful staff at Riad 107 for more suggestions and ideas for the perfect Valentine’s Day in Marrakesh. Fly over Marrakesh at sunrise – Start your Valentine’s Day with a bang! 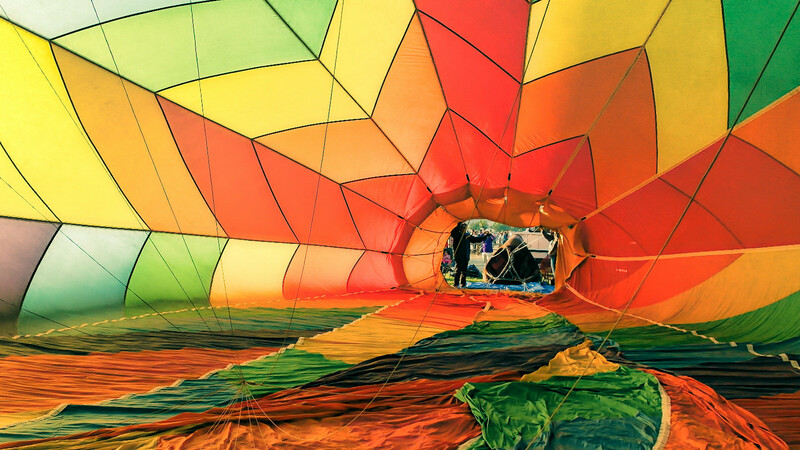 Float above Marrakech in a hot-air balloon as a brand new day begins and enjoy the city from the sky. With the stunning Atlas Mountains and the majestic desert serving as the ultimate backdrops for your ride, a bottle of champagne and fresh fruit of your choice, dazzle your loved one with a delicious surprise they will never forget! Explore the Atlas Mountains – Book a one-day trip to one of the most gorgeous natural landscapes in the world: the Atlas Mountains, home of inviting people and quaint villages. Pack a picnic basket with your favourite light foods and perhaps some dates, almonds and olives, just to keep it exotic. Enjoy a spa treatment for two – After a day on the road, your bodies will be grateful for some much needed rest and restoring. At Riad 107, we offer several spa treatments that you can select from. Choose to go to our hammam or to delight in a relaxing massage in the privacy of your own room. Book a romantic rooftop dinner – Dine by candlelight overlooking magical Marrakesh at dusk! Listen to the distant call to prayer as the day turns to night, while the city lights come on and the air fills with promises of excitement and marvel! Dance the night away – There is no party like a Moroccan party and Marrakesh is the city to do it in style! The Red City has its fair share of night clubs and lounges, where live music, belly dancers and even fire dancers are the toast of this side of the world. Join them on the dancefloor and just dance, dance, dance! If you are looking for an out-of-the-ordinary romantic getaway, we can make your wish come true. Book your preferred room at Riad 107 now and enjoy. Just because we know and love Love!